The innovation book Robert’s Rules of Innovation: A 10-Step Program for Corporate Survival hammers the point home that innovation is the key to your company’s survival—in other words, “innovate or die.” The recently published Robert’s Rules of Innovation II: The Art of Implementation teaches readers how to implement an organized work culture of innovation in their organization. This process is critical to innovation in business success as mastery of the art of implementation is necessary to ensure that your innovation process and program clicks on all cylinders, all the time. Sure, having a brilliant idea for a new product or service coupled with the top talent and resources may give you a rocket-propelled push at the starting line for the innovation process. However, unless your organization has a culture of innovation in place, progress on the innovation front will most likely be stymied. Think of a culture of innovation as the rocket fuel that drives innovation implementation forward. Keeping with the same analogy, remember that when a rocket runs out of fuel, there is no more thrust force and with gravity still acting on the rocket it will fall back to earth. Formally establish multiple communication channels reaching across the business. When it comes to changing your corporate culture to make it more accommodating for innovation, you will want to plan a cohesive and consistent communication strategy. To reach the widest audience and create variety, use multiple communication channels. For example, consider using channels including but not limited to: newsletter (digital and/or paper copy), corporate magazine, email campaigns, CEO webcasts or podcasts, and visual signs such as a notice board posted in the office’s high traffic and common space areas. Ensure that your innovation efforts and initiatives are cross-referenced with your organization’s marketing efforts. Both your internal and external communications, which also includes your public relations communications, should reflect both your organization’s innovation-minded orientation and initiatives and highlight innovation milestone achievements. At many organizations, internal and external communications are mismatched. It’s imperative to make sure they are consistent since mismatched messages often negatively affect employees’ perceptions of their company’s integrity as they may feel that they are being told one thing by company management while seeing that a different message is going out to the public. Effective communication leads to collaboration among innovation teams, which leads to optimal performance outcomes for the new product development process and innovation To bring about the most successful collaborations, you must be able to marshal the forces of your innovation collective. A key tool in this process is communication—if “location, location, location” are the three keys to success in real estate then the equivalent in innovation implementation is “communication, communication, communication.” Regular and consistent communication is required for innovation teams to be in sync, trust each other, and collaborate in a meaningful way. 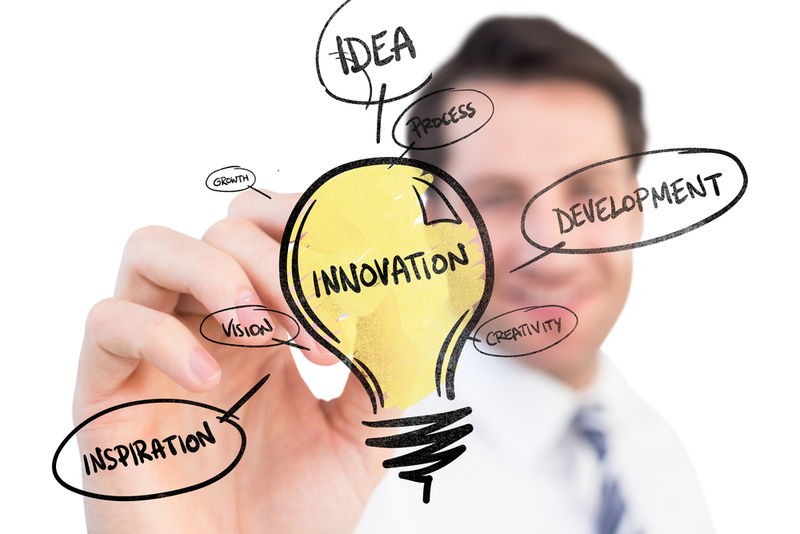 As the innovation implementation leader, the manner in which you communicate establishes the structure and tonality that propels thinking and leads to new innovation. Keep employees in the loop with constant communication. If employees aren’t kept in the loop—if they don’t understand your company strategy and shift toward implementing a culture of innovation, they often will worry, gossip, or come up with their own stories about company’s leaders’ decisions, actions, and plans. This is an unproductive use of time, chipping away at the employees’ efficiency, passion, and commitment. Ensure that employees are sufficiently and accurately informed of the company’s strategies, goals, objectives, and the like. It follows that when it comes to the ideation and innovation process, it’s imperative that you both proactively and effectively communicate with your employees the learning experiences that come with the company’s successes and failures, the ideation outcome (i.e., number of ideas and the next steps to be taken), opportunities, milestones, and celebrations. Since it’s a highly individualized consideration, your company will have to test out which communication mechanisms and channels work best. For more “from the trenches” personal insights and practical guidelines about creating, nurturing, profiting from, and sustaining a new product development process and innovation program as well as implementing an organized work culture of innovation, check out the innovation books Robert’s Rules of Innovation: A 10-Step Program for Corporate Survival and Robert’s Rules of Innovation II: The Art of Implementation.